Over the last few years, Jaguar Land Rover’s focus has been increasing localisation of their products. From their Land Rover portfolio, the Discovery Sport and Evoque are locally manufactured while the rest of the range is brought into India as CBUs. The British luxury carmaker has now launched the locally manufactured Range Rover Velar. Available with petrol as well as a diesel engine, the Velar is now priced at Rs 72.47 lakh (ex-showroom India). 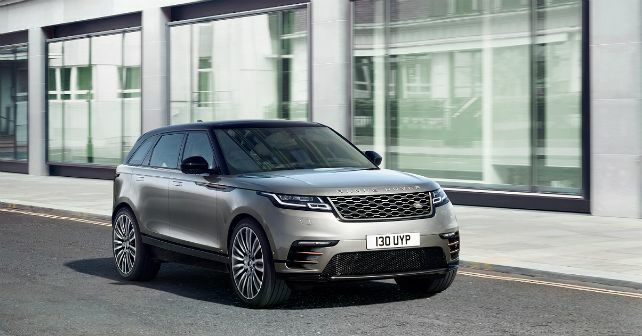 Unlike before, the Velar will only be on sale in the R-Dynamic S variant – all other variants available in the CBU version will now be discontinued. Previously, the 2.0-litre diesel was not available in the R-Dynamic S trim. The Velar now comes with 2.0-litre petrol and diesel motors. The gasoline-powered version makes 247bhp and 365Nm, while the diesel Velar pushes out 177bhp and 430Nm. Both engines come paired with an 8-speed automatic transmission and an all-wheel-drive system. The more powerful 3.0-litre diesel will no longer be on sale. Even this locally manufactured Velar comes heavily loaded with features. It gets the Touch Pro Duo, Activity Key, a 380W Meridian Sound System, four-zone climate control, 20-inch wheels and more. Land Rover now also offers Terrain Response 2 as standard fitment on both these variants.